As I was drawing names out of a hat for the chocolate giveaway (speaking of which, Fiona Andrews, please Facebook or email me to claim your prize, or I will have to redraw a new winner on Wednesday), Ash was proving once again that he is a capable and creative cook in his own right. Boys aren’t only good for doing the dishes you know. With a general recipe ‘template’ in mind, he whipped up an absolutely delicious and presentable curry, using our favourite vegetables. 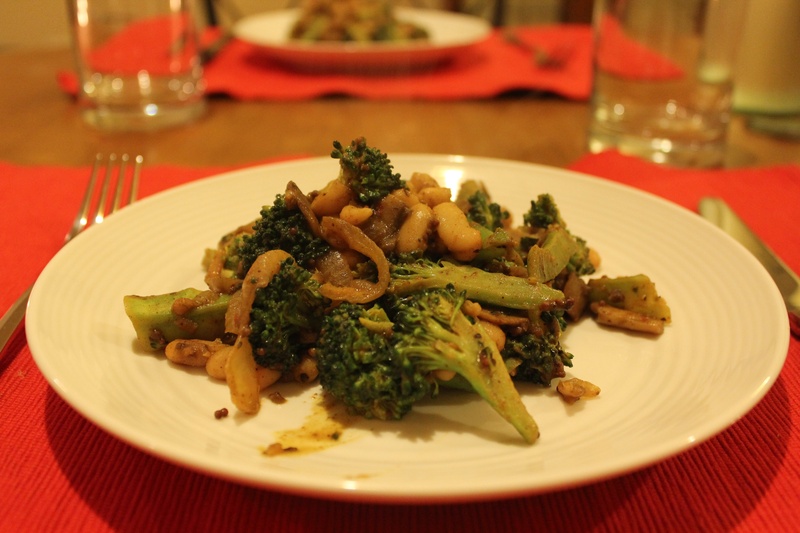 Soft onion and mushrooms, crunchy seared broccoli and a bold blend of fragrant spices were offset by the creaminess of cannellini beans. I think he was rather proud of his efforts, and I was most impressed. Learning a few ‘templates’ is a great way to get comfortable cooking without recipes. The benefit of cooking without recipes are many – it’s easy to use up what’s in the fridge, and you can just pick whatever ingredients are in season, on special or just look good when you’re shopping. Not to mention it can show your guests just what an accomplished and creative cook you are! And who doesn’t like a little head inflation. It’s made me even more excited about our weekend away together that we’re leaving for tonight, because Ash has planned the menu, done the grocery shopping and intends to do all of the cooking. I love cooking and all, but given how much time I end up spending in the kitchen, it can sometimes become a chore. So I absolutely love being given a chance to take a break, especially when the person cooking is so good at it. Heat 1 tbsp oil in a large skillet, saute onion, garlic and mushrooms until onion is golden and mushrooms are changing colour. Add the ginger and spices (it’s a good idea to have them all mixed together in a small bowl before starting) and saute until fragrant. 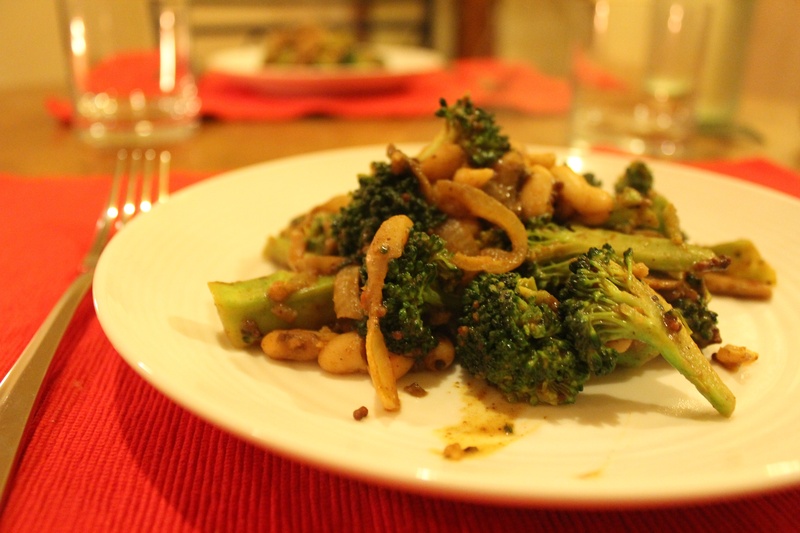 Add the rest of the oil, and when it’s hot, add the broccoli. Saute for a second, cover with a lid for a minute, saute for another second and cover with the lid for another minute. Add the soy milk and saute for a few seconds. Add the beans and saute until heated through. Done. Like a dinner.